Few businesses benefit from Indonesia's property boom as much as tile makers. While there are growing concerns that the quick increase in asking prices in Jakarta and Bali could be a bubble waiting to burst, the tile industry has little to lose as long as nationwide demand for real estate continues to grow. Indonesia already makes the global top ten in both production and consumption of ceramic tiles; and the country harbours a lot more potential as the population grows, urbanization continues and incomes rise. This has not been lost on tile exporters around the globe, though they face strong competition from local producers. 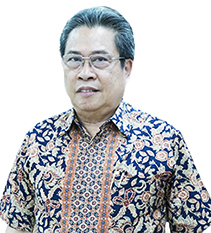 The Indonesian Ceramic Industry Association (ASAKI) has set its sights on turning Indonesia into a regional hub for the ceramic industry. For now, Jakarta and its surroundings remains the centre of building activity in Indonesia due to the influx of people into the area (See Mass Housing Plan Spells Massive Opportunity). But other urban areas, such as Surabaya in East Java, are already beginning to steal the show, and their importance for the construction industry is set to rise over the coming years and decades. The Asia Construction Outlook 2014 from AECOM Capital rates Indonesia as the country with the greatest mid-term growth potential for residential construction spending. Currently, per capita ceramics consumption is still low in Indonesia at less than 2 square metres (m2) a year, which compares to more than 3 m2 in both Malaysia and Thailand. This points to ample room for growth given the expansion of the country's middle class. ASAKI expects national ceramics sales to grow to around 34 trillion RP in 2014 from 30 trillion RP in 2013. That projection is less optimistic than an earlier 20% growth forecast from the same industry association, partly because prices have dropped. The domestic market accounts for almost 90% of total sales; exports play a relatively small role – as is typical for the industry. Imports account for less than 10% of the market and mostly originate from China, which is far and away the world's leading producer and consumer of ceramic tiles. Indonesia as of 2013 ranks sixth in terms of production and fourth for consumption. Indonesia is home to more than two dozen larger-scale ceramic tile manufacturers, with Muliakeramik Indahraya, Arwana Citramulia and Platinum Ceramics Industry ranking among the largest in the country. Muliakeramik has an annual production capacity of 62 million m2, while Arwana Citramulia's output is around 50 million m2 and scheduled to reach 58 million in 2015 with a new factory starting up in East Java. Both companies are publicly listed (Muliakeramik as a subsidiary of Mulia Industrindo), and both have seen rapid growth since their establishment in the early 1990s and are engaged in further expansion. Privately owned Platinum Ceramics Industry has been in business since 1971 and increasingly looking at export markets in addition to innovating products at home. The ongoing growth in domestic production capacity is pushing down prices of ceramic tiles and threatens to erode profit margins at least until demand catches up with supply. According to ASAKI, oversupply has caused prices to fall by more than 30% in East Java, where most of the additional capacity is entering the market. Indonesia's emerging economy is helping to increase the standard of living for most residents and raising expectations as to the size and quality of family housing. More expensive tastes of their customers allow building firms to use more exclusive materials, such as high-quality wall and floor tiles. The vibrancy of the local market is reflected in the annual “Keramika” exhibition in Jakarta, which has seen fast growth in the number of exhibitors and visitors in its short history. Organized in cooperation with ASAKI, it aims to promote the local ceramic industry in Indonesia and beyond. Indonesia is of particular interest for European tile makers that are suffering from weak demand at home. Apart from the large domestic market, Indonesia's relatively low-cost workforce and the existence of many of the required raw materials make the country an appealing proposition for Western brands seeking to move their production overseas. This is especially true in light of growing trade between ASEAN countries, which affords Indonesia the possibility to establish itself as the regional hub for the industry. Globally recognized brand names can help Indonesia's ceramics industry raise its export share. Meanwhile, Indonesian tile makers are adamant to defend their home turf while the larger players are pushing into export markets as well. Most Indonesian output currently goes into floor and wall tiles, particularly in the low to medium cost segment. Whereas higher quality tiles, for instance those made of polished porcelain, are often imported. Local brands are striving to expand their range to higher value products in order to develop export markets and satisfy more demanding local customers. As they seek to increase their foothold in the high-end tile market, local manufacturers of ceramic tiles, as well as granite, porcelain or marble tiles, should welcome support from experienced foreign companies to help them develop new designs and materials. Working with strategic investors to expand their manufacturing capacity is a further area of potential cooperation as local brands within ceramic as well as porcelain tiles seek to position themselves to take advantage of the opportunities at home and in the ASEAN region. In particular, this presents an opportunity for companies selling machinery and other tile manufacturing equipment, particularly those that offer energy efficiency and environmentally friendly production methods. The “Keramika” trade fair provides a platform to market such goods and the expertise needed to use them. Indonesia harbours abundant reserves of natural gas, which is a crucial resource for the energy-hungry ceramics industry. Due to the immense heat and pressure needed to produce ceramic tiles, the industry relies on a stable and steady supply of gas, which accounts for around 30% of total ceramic production costs in Indonesia. However, a lot of work is needed to raise production and particularly to improve the distribution of gas across the archipelago (See Indonesia’s Oil and Gas Sector – Upstream Challenges). If the country can successfully redirect gas output towards domestic consumption from what was once a heavily export-led business, this will undoubtedly be a boon for the ceramics industry (and many others) going forward. Challenges for the further growth of Indonesia's tile industry include a lack of infrastructure and a dependence on imported materials. Aside from the aforementioned issue of energy supply, the country's inadequate transportation system puts significant strain on distribution costs, compelling larger-scale manufacturers to set up factories in various locations. The anticipated acceleration in infrastructure development should gradually improve this situation. While Indonesia's topography offers most of the clay, sand and other minerals the ceramics industry needs, mining output and refining of these natural resources are often left wanting. Therefore Indonesia relies on imports of key ingredients for the production of ceramics and glazes, such as feldspars and zirconium silicate. This puts local producers at a disadvantage versus their competitors in Turkey, Italy and China, the three main feldspar producing countries. Some minerals for use in tile-making are mined in Indonesia but then exported abroad for further processing. Developing the downstream industries to supply ready-to-use goods to local tile makers – and thereby providing the missing link in the supply chain – is a business opportunity in itself. Despite these challenges there is no doubt that the enormous building activity in Indonesia's real estate market provides fertile ground for the ceramic and non-ceramic tiles industry and its suppliers until well into the future.